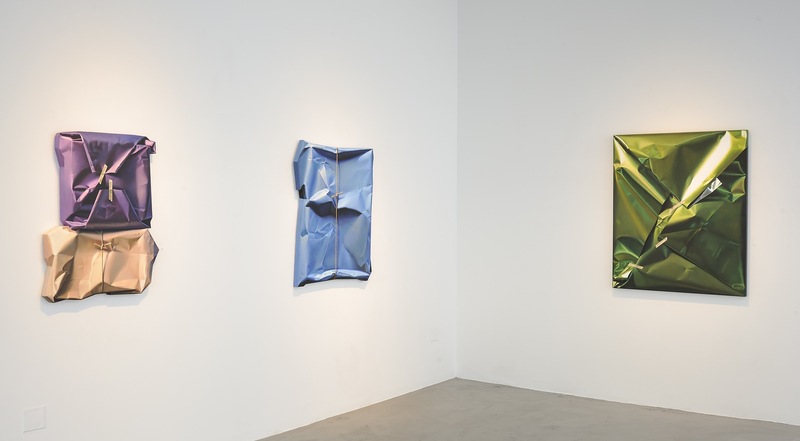 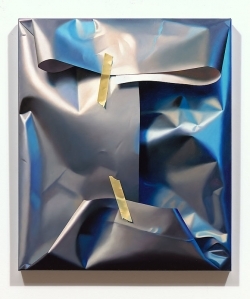 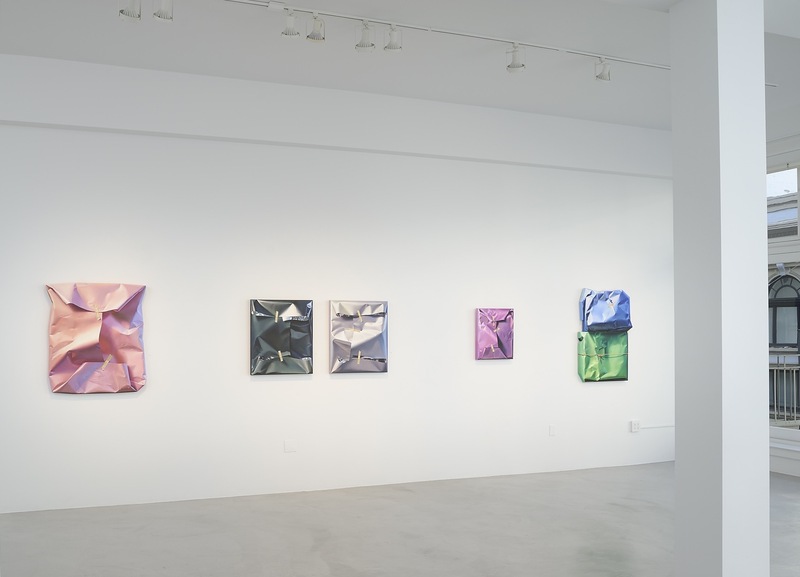 Yrjo Edelmann’s (1941-2016) paintings of mysterious, wrapped packages appear to float a few inches off the wall as ambiguous sculptural objects. Hovering between illusion and hyper-realism, they are painted in perfect trompe l’oeil, capturing every crinkle and tear in the wrapping paper and the subtle reflections of light off the creased surfaces. 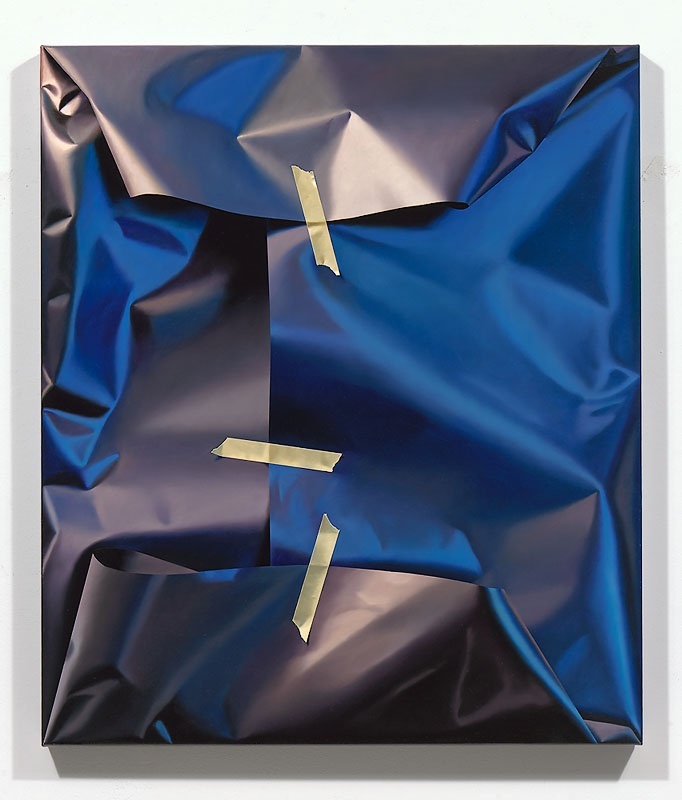 With exquisite technique, Edelmann elevates the mundane imagery of wrapped parcels to become haunting and sensual. The Swedish painter has exhibited worldwide in cities such as New York, Tokyo and Paris, and had a recent solo retrospective at the Museum of Art and Design in Singapore. His works are held in many collections, including the San Francisco Museum of Modern Art; the Brooklyn Museum; the Denver Art Museum; the Fred Weisman Collection in Pasadena; Utrecht Modern Art Museum, Netherlands; Malmo Museum, Sweden; and the collections of both Swedish Parliament and the Swedish Royal Family.